It takes a while for Cannibal Holocaust to really sink in. Ruggero Deodato's cult classic has been canonized, marginalized, praised, lambasted, and hotly debated since its 1979 debut. On first viewing, one may wonder what all the fuss is about. Once given a chance to mull the film over, its cynical morality, and savage criticism shocks even more than the carnage on screen. Some months before the film starts, a young and amoral film crew, led by Alan Yates (Gabriel York), disappear while making a documentary in the wilds of South America. When anthropology professor Harold Monroe (Robert Kerman, veteran of numerous Neapolitan schlockers and pornos) goes in search of them, he finds out far more about the natives of the Amazon than he could want. Returning to civilization with nothing but undeveloped film, he soon learns the fate of the film crew, and the price for disrespecting the jungle. It is in the second half of Cannibal Holocaust, as the lost film canisters are shown, that Deodoto gets to the heart of his theme. While Professor Monroe's voyage has already been privy to numerous, unsettling scenes of savagery, what is on the salvaged film is far worse. Made in response to, and criticism of, the Mondo films of Jacopetti and Prosperi, the acts of the 'civilized' crew are even more horrendous than those of the Amazon 'savages'. When the Americans go to lengths to prompt the natives into barbarism for the sake of some choice footage, they get all they ask for and more. On a technical level, Cannibal Holocaust is competent, if nothing more. 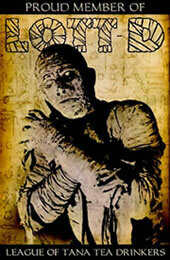 The actors give serviceable performances, and the effects are grisly but unspectacular. Taking a cue from the documentaries he is aping, Deodoto is happy to let the action take place before the camera without in adding anything. The second half's hand-held footage is shaky, and convincingly 'real', but never draws too much attention to itself. But why the controversy? 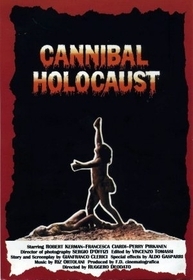 Cannibal Holocaust is surely one of the most gruesome films ones is likely to see. It assembles a series of images that are both violent and disturbing. But in the end, they are no more graphic than Dawn of the Dead, and no more violent than any of Lucio Fulci's gore-buckets. Instead, it is the tone, and nature of the violence. Some of it is frankly sexual, much of it is rawly primitive, and all of it is unglamourized and unflinching in detail. Even worse, Deodoato makes the viewer a participant in the carnage. As much as the lost film crew, it is the audience's demand for more blood, darker thrills, that drives the acts on screen. And it is, in the end, what enables Cannibal Holocaust to get under the skin, and stay there for days, like few other films. Submitted by Anonymous (not verified) on Sun, 2012-10-28 12:05. According to the commentator on TCM, the controversy arose when 3 actors who played people who were killed signed contracts not to appear publicly for a year, and enough rumors that it was really a snuff film arose that the director was arrested.